Last week was spring break around here and Dixie, her girls and I went to see this exhibit in Kansas City. 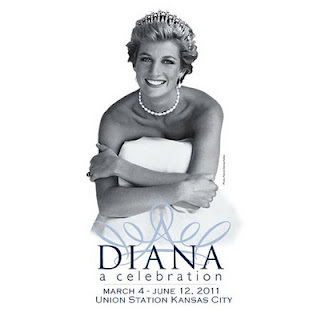 It was a wonderful exhibit and I had the chance to see the wedding gown that Diana was married in! They had the most fantastic crown with literally hundreds of large diamonds all over it(also a guard standing right there!). I was disappointed that NO photographs were allowed but do understand! This exhibit is going back to England in June, so if you have the chance....I would go!